B.A. 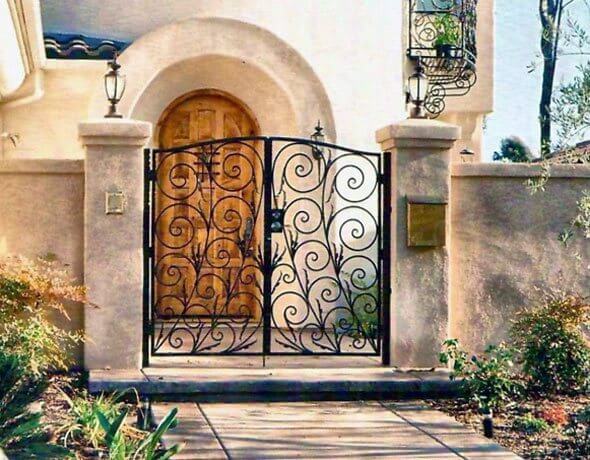 Ramirez & Sons Ornamental Iron Works, Inc. is a full-service, San Diego-based ornamental iron contractor that specializes in the design, fabrication, and installation of custom fences, gates, doors, enclosures, window guards/bars, and railings. Our family-owned and -operated business has been serving La Mesa home and business owners since 1980 and we have cultivated an excellent reputation for superior iron work, very competitive prices, and personalized customer service. At B.A. 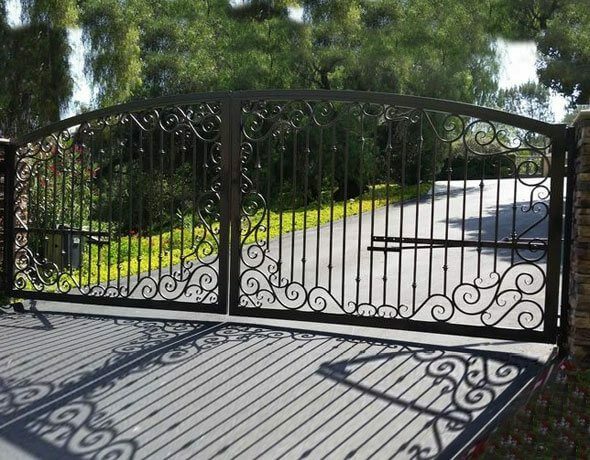 Ramirez & Sons Ornamental Iron Works, Inc., we have helped over ten thousand satisfied customers throughout San Diego County obtain the fence, gate, door, window bars, or railing that they wanted at a price they could afford. Our ironwork has been used to beautify homes, businesses, gated communities, parks, and schools, while also serving a functional purpose. We've distinguished ourselves from other iron contractors serving La Mesa by placing a high value on personalized service. During a free, on-site consultation, our experienced professionals will discuss your ideas and goals, walk your property, and take measurements. We can either work off of magazine clippings or photos, or make recommendations and go over our past projects with you. Once we also understand your security and privacy needs as well as relevant budget concerns, we'll fine tune your iron fence, door, gate, rail, or window guard design and provide you with an upfront, written estimate. Call B.A. 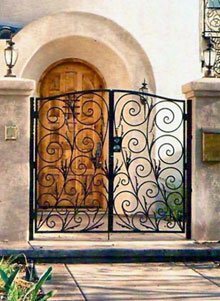 Ramirez & Sons Ornamental Iron Works, Inc. today and we will install an attractive and long-lasting iron fence, gate, window guard, door, or railing at your La Mesa location. Because the majority of our craftsmen have between 30 and 50 years of experience, they can be trusted to fabricate and install your custom iron work to the highest of professional standards. Moreover, we stand by the quality of our iron work with written guarantees. We are licensed, bonded, and insured, and all of our ironwork is made in strict compliance with all applicable building codes and ADA standards. 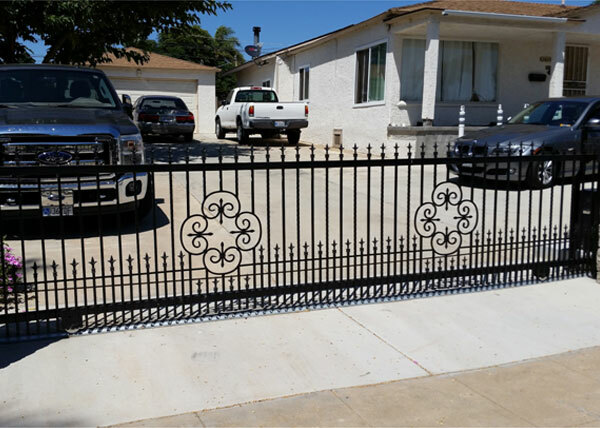 When you want a fully customized iron fence for your La Mesa property, call B.A. Ramirez & Sons Ornamental Iron Works, Inc.. In business since 1980, we have decades of experience designing, building, installing, repairing, and replacing iron fences for La Mesa and San Diego County customers. We specialize in both ornamental and wrought iron fences, and offer La Mesa customers a range of options to suit their preferred budget as well as their functional and decorative needs. 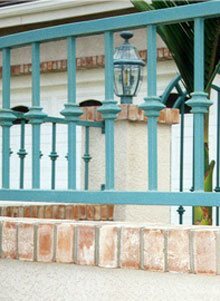 Our iron fences in La Mesa can be made from tubular or solid steel, enhanced with hand forged work or decorative castings, and given either a powder coat, metalized, or galvanized finish. We can also integrate spears or spikes that will discourage trespassers. All forging and welding is performed in house and our iron fences are thoroughly sanded, grinded, and buffed to achieve a beautifully smooth finish. Call us today to install an iron perimeter, pool, or security fence at your La Mesa home, business, or residential community. At B.A. 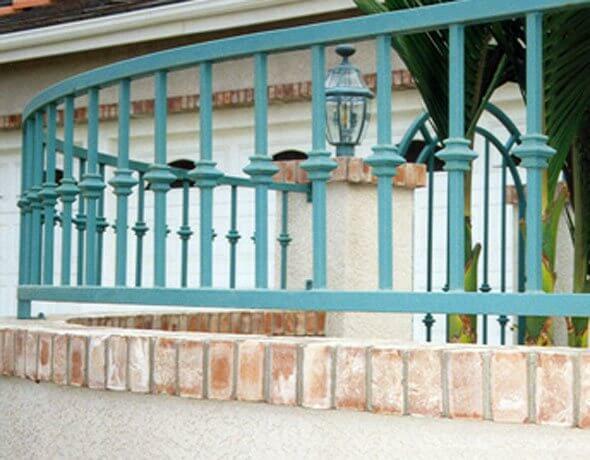 Ramirez & Sons Ornamental Iron Works, Inc., we also fabricate iron railings, including guardrails, handrails, and railings for balconies and staircases, for La Mesa residential and commercial customers. Our craftsmen are skilled at working with both ornamental and wrought iron, and are able to build railings that feature any scroll design or smooth or hammered balusters with baskets, knuckles, collars, or leaves. Each railing is built according to the industry's best practices and complies with all applicable building codes and ADA requirements. 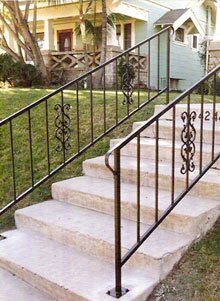 Call us today and we'll help you enhance the look of your home or business in La Mesa with a gorgeous, custom-made iron railing. Call B.A. Ramirez & Sons Ornamental Iron Works, Inc. today to discuss your needs and vision for window guards or a door at your La Mesa home or business. Window guards--also called window bars or burglar bars--help to protect your property from break-ins while elevating the look of your building's exterior. Our iron doors can be used inside of your building to designate a special space such as a wine cellar, or installed in your door frame as a highly sophisticated security screen door. Security screen doors feature heavy-duty steel frames, elaborate hand-forged scrolls and/or bars, and usually a tightly woven screen to keep out bugs. Alternatively, our doors can be installed away from the front door, but within the main entry alcove to create an elegant enclosure. To help you select the right ironwork structure for your home or business in La Mesa, call us today. 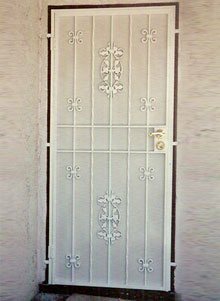 Whether you would like a simple yet elegant side access gate or a decorative gate that both improves the appearance and security of your home, B.A. 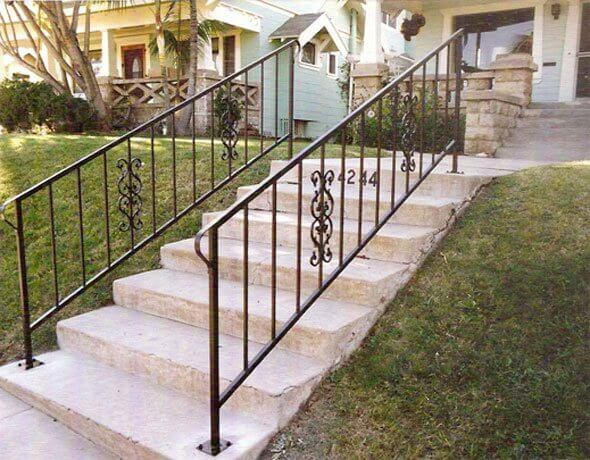 Ramirez & Sons Ornamental Iron Works, Inc. can help. 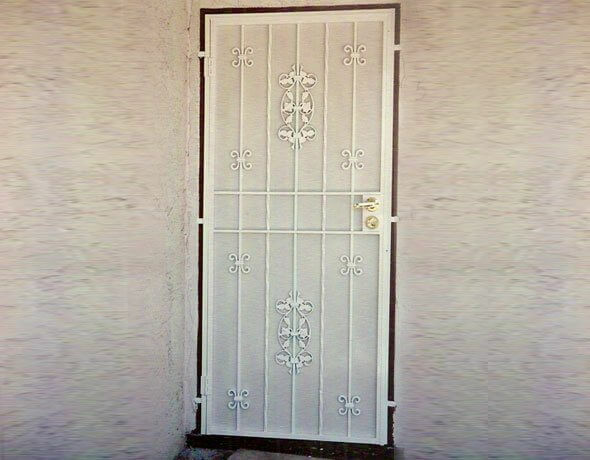 We custom design, fabricate, and build all kinds of iron gates for our La Mesa residential and commercial customers. Customer can depend on us for pedestrian gates and driveway gates, both of which can be motorized. La Mesa customers can also choose from a wide selection of gate hardware and access control equipment, including locks, latches, handles, card readers, fobs, keypad entry systems, telephone entry systems (which allow access via a landline or smartphone), gate remotes, proximity card readers, and more. Made by RamSet, Doorking, and LiftMaster, our iron gate hardware features the latest innovations and are backed by extensive manufacturer warranties. 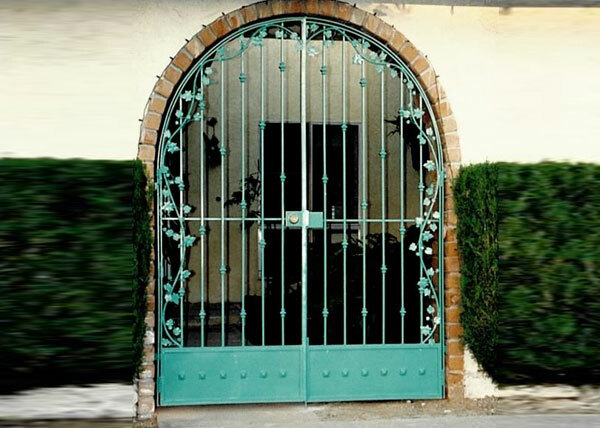 Contact us today for a free online estimate and to learn more about our iron gates in La Mesa. 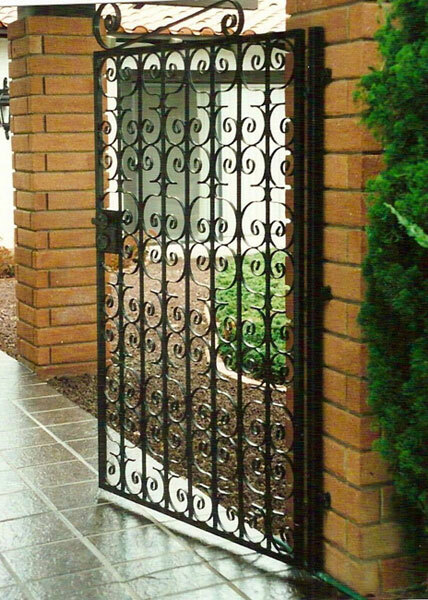 Any of our custom-made iron gates can become motorized with the addition of a gate operator system from DoorKing, Linear, Elite, LiftMaster, All-O-Matic, or RamSet. These brands are among the most trusted and make some of the best gate equipment and hardware available on the market today. Choose from swinging gate openers, sliding gate openers, keypad access systems, card reader access systems, systems that can be controlled via smartphones, KNOX emergency access key switches, entrapment prevention devices, and more. We will build your motorized gate to code and follow the manufacturer's installation guidelines to ensure all of your automatic gate equipment and hardware work together seamlessly and for as long as possible. All of our iron work is backed by a one-year labor and materials warranty, and all of our brand name automated gate systems are backed by extensive manufacturer warranty. To learn more, call today. DW14 This custom automated gate in La Mesa, CA was built by B.A. Ramirez & Sons. The gate has 5/8" hammered vertical bars, two hand forged designs, and a row of "doggie" pickets above the lower horizontal. The gate's frame is designed for the high use "Ram Set 1000" operating system. 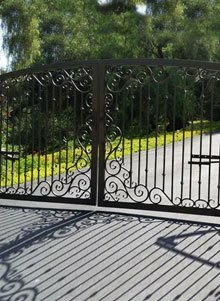 G56 This residential ornate gate was installed in La Mesa CA. It has a 1" steel tube frame, ½" pickets and ornate designs formed and made using ½" flat bar. D7 This arched residential entry gate in La Mesa, CA is custom fit to the brick entry. By combining a traditional Spanish style look with European vines and leaves, we were able to create a beautiful and unique look. This gate was painted with a custom long lasting epoxy paint finish.